We have an extra special summer edition for you this month, filled with wonderful ideas for family fun. 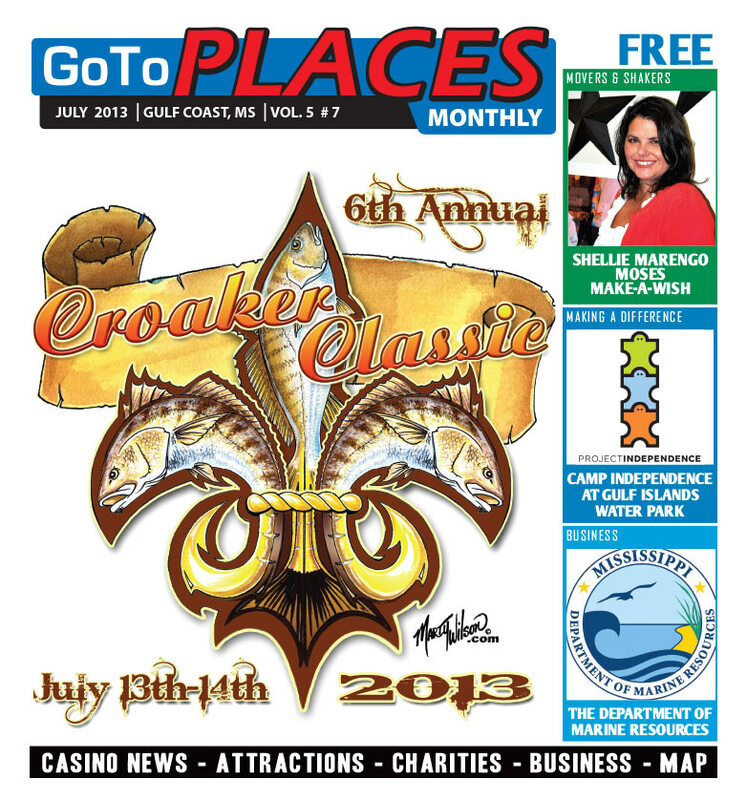 The 6th Annual Croaker Classic is almost here and it is going to be bigger and better than ever! Grab a pole and get your tackle box ready because the $10,000 grand prize could be yours! Founder, renowned marine life artist Marty Wilson, visited with us from Destin, Florida and gave us the scoop on everything you need to know. It’s going to be a blast for everyone in your family! Get to know our July Mover & Shaker, the lovely, Shellie Marengo Moses. She is the South Mississippi Director of Make-A-Wish Mississippi and makes dreams come true for our little ones battling catastrophic life threatening diseases. We take you behind the scenes of the Department of Marine Resources(DMR). These dedicated men and women work around the clock to ensure your safety on the water. Executive Director, Jamie Miller, explains the many responsibilities that fall under his jurisdiction. Tempt everyone in your family with fresh summer salads and dessert ideas in Taste Buds! Now is the time to enjoy “just picked” fruits and veggies because they are at their peak of sweetness, nutrition, and flavor. Plan a picnic soon!